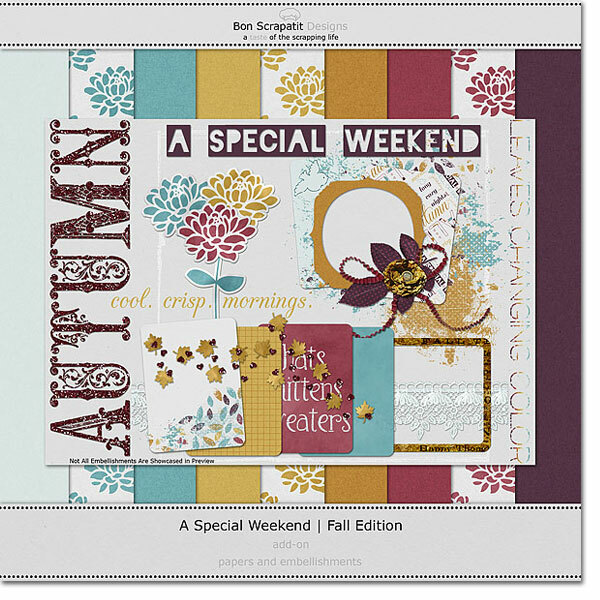 Bon Scrapatit Designs: a special weekend, fall edition addon has arrived ... it's free too! 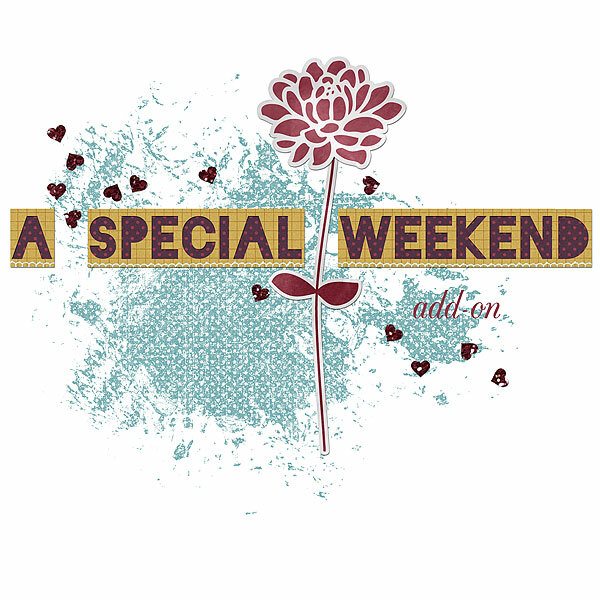 a special weekend, fall edition addon has arrived ... it's free too! The last time this particular group of 'Ohana gathered here at our home was when I was out-of-state for the birth or our grandson, Henry! Speaking of Henry, I had a surprise Skype call from Henry's mommy this afternoon and was able to catch up with his milestones, peek into his big blue eyes, and be mesmerized by his precious little smile! This has been an incredible week and it is definitely going to end with a bang! I hope y'all have had an amazing week as well and it is my wish that you enjoy this little gift by way of an add-on to A Special Weekend (Fall Edition). Ready ... Set ... Scrap!!! Please feel free to share by way of the social media buttons below. I shall greatly appreciate it! Thank you for visiting me today and keep on scrapping happy! a special weekend ... scrapatit!